The Razer Nabu Watch Forged Edition is the company�s second entry in the wearable market � after the Razer Nabu line. 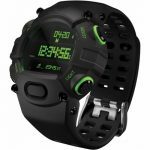 The Nabu Watch Forged Edition is black and neon green. It�s designed to look like a traditional digital watch, but it has basic smartwatch features built-in. Those features include remote notifications, calls, and more. It�s equipped with two displays, one to show the digital chronograph, and the other to show the smart notifications and content. The battery for the secondary screen will last seven days and is rechargeable. 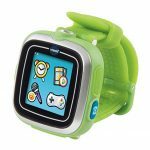 The digital watch uses a standard replaceable cell and will last for up to a 1 year. It includes basic fitness tracking like the Nabu bands, and a companion app for Android and iOS.